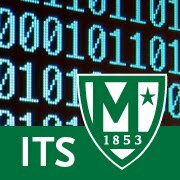 #TellITS - We have been receiving multiple tech-support requests via the Tell ITS form (http://manhattan.edu/tellits) as well as relevant feedback which enables us to provide faster and more efficient service to the Manhattan College community. Thank you! If you come across a technology issue on campus, please continue to notify us via the TellITS form. You may also report issues to its@manhattan.edu or 718-862-7973. The faster we know about an issue, the faster we can resolve it. We need your ongoing help to identify issues and get them resolved as quickly and efficiently as possible.